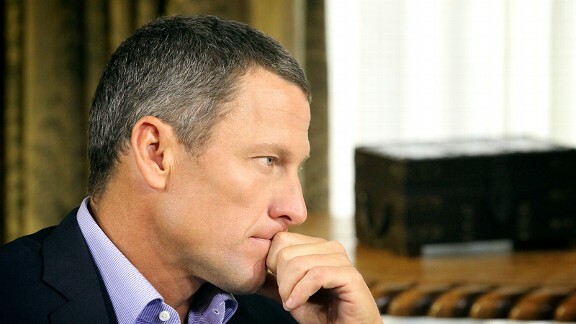 Is There Redemption for Lance Armstrong? Crash. And boom. Another mighty hero of American sport has fallen. Lance Armstrong sat down with Oprah and finally admitted that he was guilty of participating in a doping scheme that he had so belligerently denied for years. In our country, we look to our athletes for inspiration, for entertainment, and to personify the “you can do it, too!” motto that we all teach her kids. When Pete Rose or Kobe Bryant or Tiger Woods or Joe Paterno disappoint us (some more despicably than others in the examples I just provided), there is a sense of trust that is lost, even though this bond is with a person we likely never met. These stirring events, and what transpires in the aftermath, offer us great examples of how someone in any profession can begin to repair a tarnished reputation. Let’s look at Ray Lewis for a moment, and perhaps Lance Armstrong should study his example as well. Jay Busbee recently wrote an excellent piece explaining how Lewis has gone from being the suspect in a double homicide in 2000 to a Super Bowl hero making his farewell tour this year. Busbee points to three important lessons to be learned — winning is redemptive, rehabilitation begins at home, and charity and image are essential. If you are a disgraced CEO, turn a new upstart company into a multimillion dollar success story. If you are a politician who has been accused of extramarital affairs, start spending more time with your family and stay away from those situations that would get you into trouble. If your business has gained the reputation of stealing from clients, find a charity that means something to you and really invest your time and energy. Lance Armstrong already has done the second and third of the recommendations put forth by Busbee, as his renewed dedication to family life and his longstanding efforts regarding cancer funding and awareness are undeniable. The governing bodies of the cycling world aren’t too anxious to let him work on the first one, though. It will be interesting to see what kind of reputation Armstrong has five years from now and examine the steps he is taking now that will get him there.